It is almost that time again. 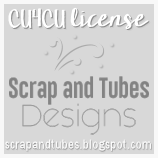 I am participating in the Scraps-N-Pieces July Blog Train. This month the theme is Berry Sweet and I love this palette. The colors are luscious. My kit is called Berry Blossoms and has lots of flowers for you to play with. I hope you will enjoy it. So keep watching this spot as the train leaves the station on July 15th!